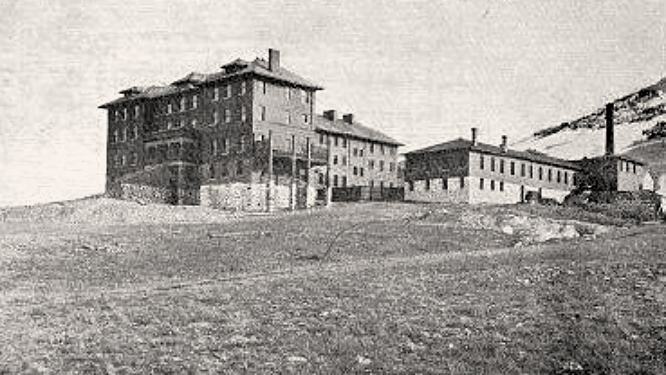 House of the Good Shepherd, was a Catholic home for troubled girls. 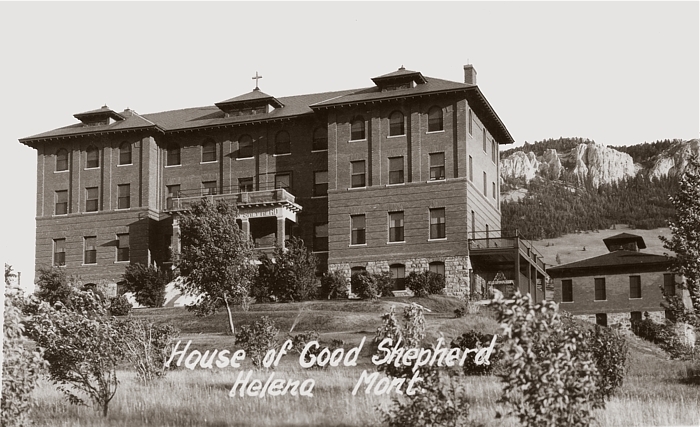 In 1889, a group of nuns of the Convent of the Good Shepherd came to Helena from St. Paul, Minnesota, in answer to an appeal made by the Most. Rev. John B. Brondel, first bishop of Helena. The five nuns brought with them one girl, Veronica, who was to be the first to find shelter and guidance at the Home of the Good Shepherd. Establishing themselves in four buildings at Ninth and Hoback, the sisters began their work. As the years passed, the original quarters became too crowded for the increasing number of residents. 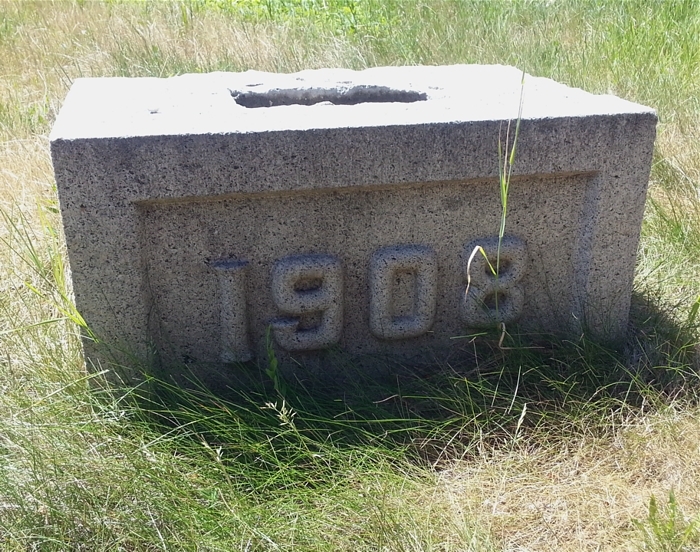 In 1907, a 10-acre tract of land between LeGrand Cannon and Hauser Boulevard was purchased by the home and excavation began in October of that year. On a cold day in February, 1889, a small colony of Sisters of the Good Shepherd arrived in Helena from St. Paul, Minnesota. They came, at the invitation of Bishop John B. Brondel, to establish a safe, non-denominational haven for troubled girls and young women. 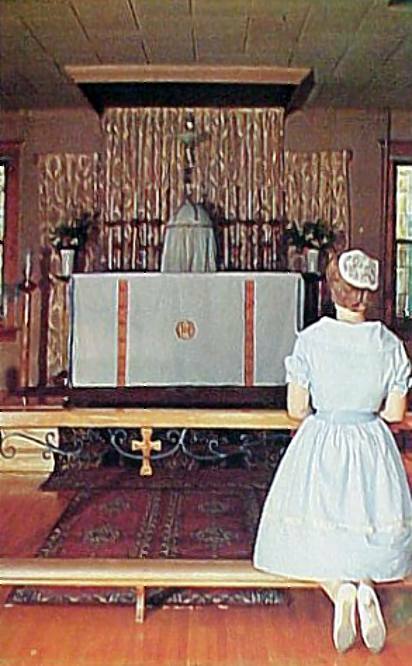 Five nuns and a young girl named Veronica, their first charge, settled into the Second Empire style convent at the corner of Hoback and Ninth. 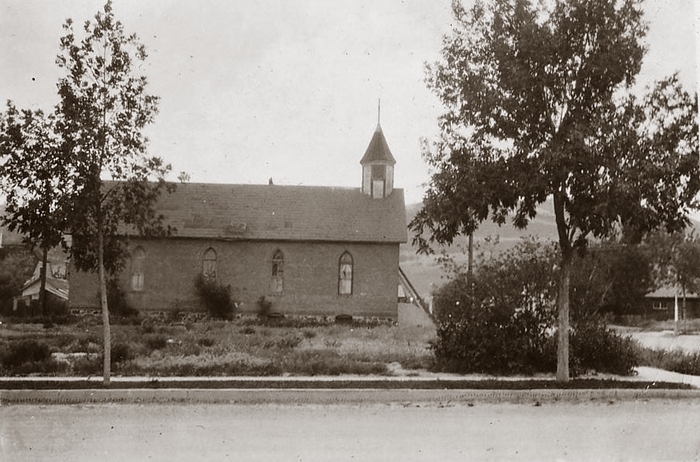 St. Helenas Catholic Church across Hoback Street was built soon after and construction of the frame dormitory followed in 1890. The sisters Gothic Revival style chapel was built to adjoin the convent in 1895. Four separate two-story additions enlarged the dormitory which also served as a school. By 1900, nine sisters cared for 27 residents between the ages of 8 and 36. In the dormitory basement, a state-of-the-art commercial laundry, added in 1904, provided job training and income for the home. 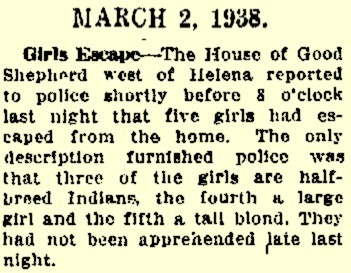 The sisters moved to a larger facility on the west edge of town in 1909. Their convent here was divided into apartments and the dormitory became a furniture warehouse. When the west side home closed in 1967, the sisters had cared for more than 2,700 girls and young women during their 78 years in Helena. In 1990, a new owner painstakingly rehabilitated the Hoback Street dormitory and converted it to an artists studio. Today only the church retains its original purpose, but the historic appearance of this landmark complex is little changed." In 1907, a 10-acre tract of land between LeGrand Cannon and Hauser Boulevard was purchased by the home and excavation began in October of that year. 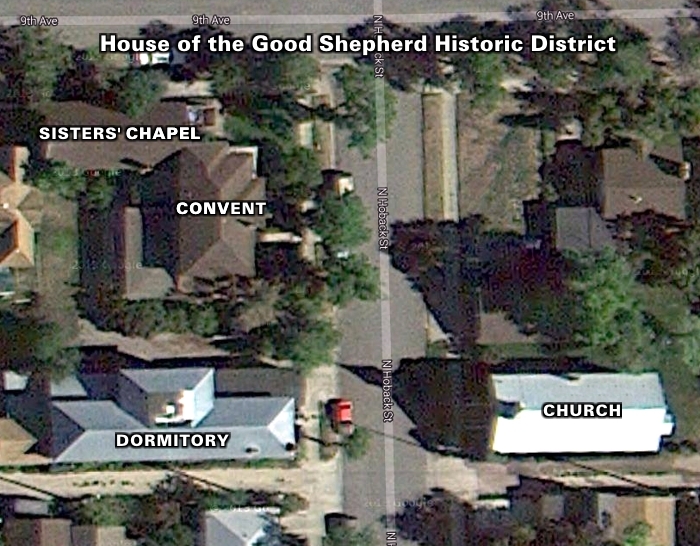 Over the years, The grounds of the House of the Good Shepherd in Kenwood grew to almost 80 acres. The home was composed of three units, including a laundry, the convent and the school, known as St. Mary's of the Mount. It was built to accomodate 150 girls and 20 sisters. There were also a gymnasium and a chaplain's residence. Because of a lack of finances and decreasing use of its services, the home closed its doors in 1967. There was a small cemetery (Calvary Cemetery), about 300 yards west of the main buildings, from which remains were removed when the home closed. They were reburied at Resurrection Cemetery in the Helena Valley. Visible in the above photo is a rooftop cross above the center dormer. In the 1950s, the cross was illuminated with a blue light, and could be seen for miles. 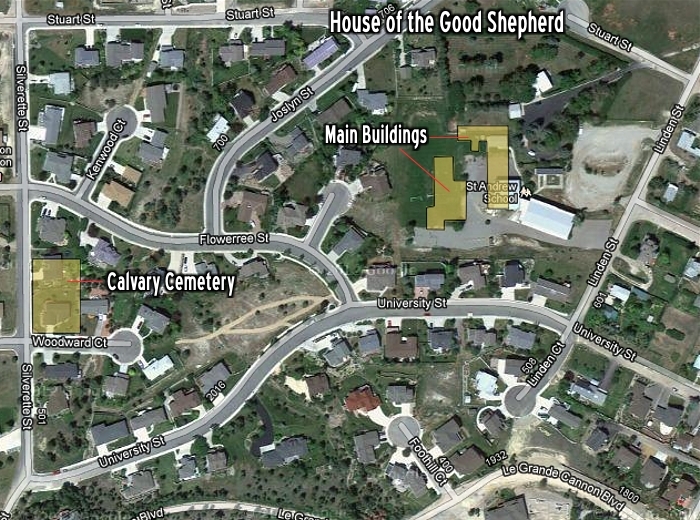 The cornerstone is today on the grounds of a private residence, located on the former site of the House of the Good Shepherd. Photo courtesy of Sean Logan.